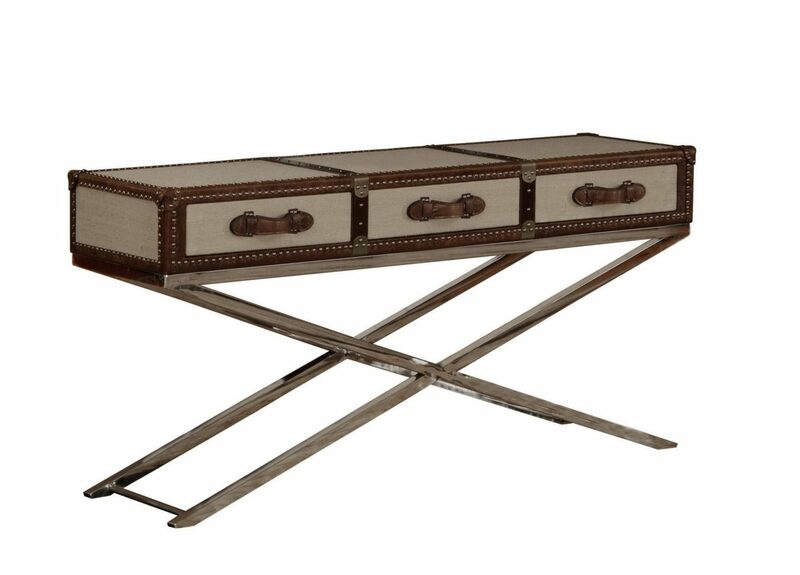 The Luckenbach Console is stylish combination of leather and metal. 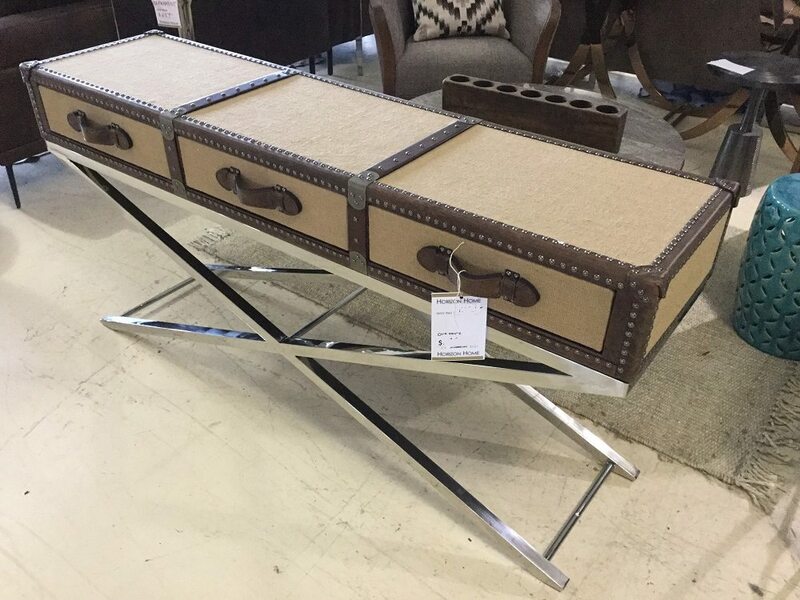 This console has an X-shaped stainless steel base, and features three easy-to-access storage drawers with leather pulls. This console is a covered in a premium, top-grain leather, with an outline of decorative nailhead trim adding to the appeal. Tags: Leather, steel, X frame.